SOLD $220,000 AUCTION!! 4 BR, 2 Full BA, 2 Half BA All Brick Home w/ Bonus | Middle Tennessee Real Estate :: Maples Realty & Auction Co.
Move in ready 4 bedroom, 2 full bath, and 2 half bath all brick ranch style home on one level. Two car garage, formal dining room, large kitchen, tile and hardwood floors, wood burning fireplace, and unfinished bonus room. 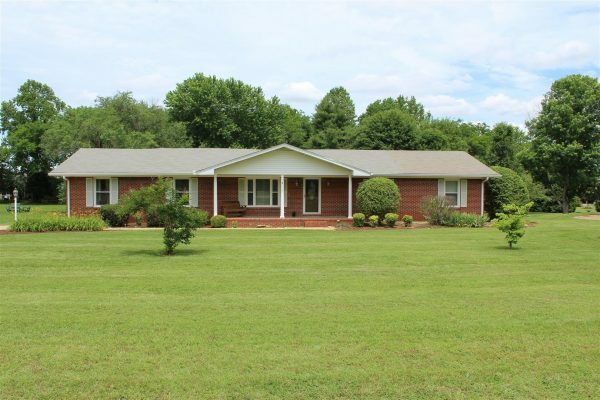 Located on a large county lot with mature trees, above ground pool, deck, concrete driveway, and storage building. Directions: From downtown Murfreesboro, take South Church Street (Hwy. 231) toward Shelbyville, turn right on Highfield Drive. The property is on the right. what time before auction can this be seen ? Usually the auction team is at the property at about 8:30 am on the morning of the auction. You may be able to make an appointment with the auctioneer to see it sooner. Contact Brad Muse 615-405-5514 if you have questions or want to try to set up an earlier appointment to see the home.